Paolo Petrocelli is a cultural entrepreneur driven by the belief that the arts and arts education are a major force for growth, development and change globally. A passionate, innovative and dynamic manager with an extensive experience in leadership positions in a variety of organizational settings, he is an international relations and global cultural affairs expert. In order to serve as an active citizen and support non-profit activity, he has become a leading member of some of the most prestigious international organizations, including the United Nations, UNESCO, World Economic Forum. 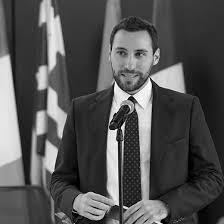 Petrocelli is the co-Founder and President of the Italian Youth Association for UNESCO and serves as Cultural and Music Diplomacy Officer for the Permanent Secretariat of the World Summit of Nobel Peace Laureates.